More detail will be added when we receive them and they are confirmed. Annual Christmas Concert, Paul Church. Concert with Tamar Valley MVC away. (Massed Cornish Choir Concert Symphony Hall BIrmingham). 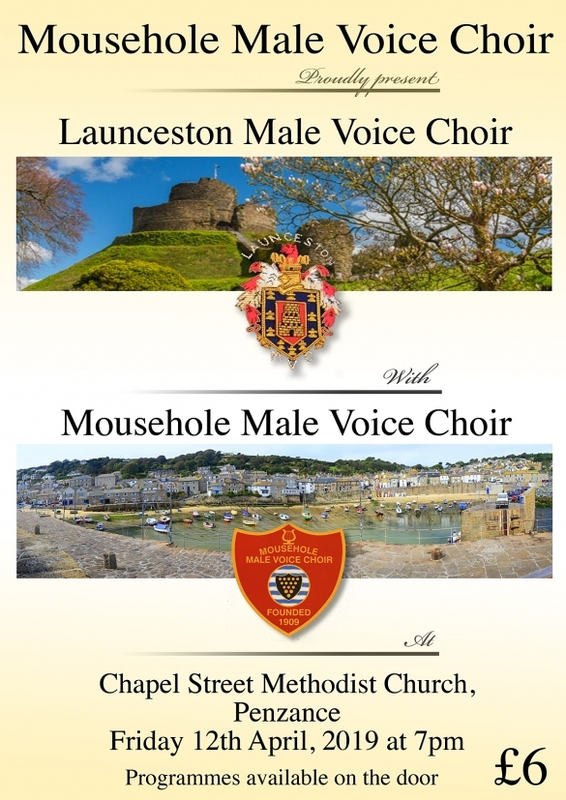 Concert with Nankersey Male Choir in Penzance.